Poverty is a state of privation, or a lack of the usual or socially acceptable amount of money or material possessions. The most common measure of poverty in the U.S. is the "poverty threshold" set by the U.S. government. This measure recognizes poverty as a lack of those goods and services commonly taken for granted by members of mainstream society. The official threshold is adjusted for inflation using the consumer price index. The government's definition of poverty is based on total income received. For example, the poverty level for 2014 was set at $23,850 (total yearly income) for a family of four. Most Americans will spend at least one year below the poverty line at some point between ages 25 and 75. Poverty rates are persistently higher in rural and inner city parts of the country as compared to suburban areas. In 2009 the number of people who were in poverty was approaching 1960s levels that led to the national War on Poverty. In 2011 extreme poverty in the United States, meaning households living on less than $2 per day before government benefits, was double 1996 levels at 1.5 million households, including 2.8 million children. This would be roughly 1.2% of the US population in 2011, presuming a mean household size of 2.55 people. Census data for 2011 showed that half the population qualified as low income. Understanding the many aspects, not of using but of comparing poverty definitions, can aid perception. Using the Human Poverty Index (HPI), or Human Development Index (HDI), may help global comparison in quality of living. Yet even when nations use the same method, some issues can remain. Some critics argue that relying on income disparity to determine who is impoverished can be misleading. The Bureau of Labor Statistics data suggests that consumer spending varies much less than income. In 2008, the “poorest” one fifth of Americans households spent on average $12,955 per person for goods and services (other than taxes), the second quintile spent $14,168, the third $16,255, the fourth $19,695, while the “richest” fifth spent $26,644. The disparity of expenditures is much less than the disparity of income. Although the relative approach theoretically differs largely from the Orshansky definition, crucial variables of both poverty definitions are more similar than often thought. First, the so-called standardization of income in both approaches is very similar. To make incomes comparable among households of different sizes, equivalence scales are used to standardize household income to the level of a single person household. When compared to the US Census poverty lines, which is based on a defined basket of goods, for the most prevalent household types both standardization methods show to be very similar. In addition to family status, race/ethnicity and age also correlate with high poverty rates in the United States. Although data regarding race and poverty are more extensively published and cross tabulated the family status correlation is by far the strongest. In 2012, 16.1 million children were living in poverty. Out of the 49 million Americans living in food insecure homes, 15.9 million of them were children. In 2013, child poverty reached record high levels in the U.S., with 16.7 million children living in food insecure households. Many of the neighborhoods these children reside in lack basic produce and nutritional food. 47 million Americans depend on food banks, more than 30% above 2007 levels. Households headed by single mothers are most likely to be affected. 30 percent of low income single mothers can't even afford diapers. Not having the ability to afford this necessity can cause a chain reaction of events to occur, including mental, health, and behavioral affects. Some women are forced to make use of one or two diapers, using them more than once. This causes rashes and sanitation problems as well as health problems for the child and the mother. Without diapers, children are unable to enter into daycare. The lack of childcare can be detrimental to single mothers by hindering their ability to obtain employment. Worst affected are the District of Columbia, Oregon, Arizona, New Mexico and Florida, while North Dakota, New Hampshire, Virginia, Minnesota and Massachusetts are the least affected. 31 million low-income children received free or reduced-price meals daily through the National School lunch program during the 2012 federal fiscal year. Nearly 14 million children are estimated to be served by Feeding America with over 3 million being of the ages of 5 and under. Poverty affects individual access to quality education. The U.S. education system is funded by local communities; therefore the quality of materials and teachers is reflective of the affluence of community. Low income communities are not able to afford the quality education that high income communities do. Another important aspect of education in low income communities is the apathy of both students and teachers. To some the children of the poor or ignorant are seen as mere copies of their parents fated to live out the same poor or ignorant life. The effect of such a perception can be teachers that will not put forth the effort to teach and students that are opposed to learning; in both cases the idea is that the poor student is incapable. Females in poverty are also likely to become pregnant at a young age, and with fewer resources to care for a child, young women often drop out of school. Due to these and other reasons the quality of education between the classes is not equal. Eighty-nine percent of the American households were food secure throughout the entire year of 2002, meaning that they had access, at all times, to enough food for an active, healthy life for all of the household members. The remaining households were food insecure at least some time during that year. The prevalence of food insecurity rose from 10.7% in 2001 to 11.1% in 2002, and the prevalence of food insecurity with hunger rose from 3.3% to 3.5%. According to the American Enterprise Institute, research has shown that income and intelligence are related. In a 1998 study, Charles Murray compared the earnings of 733 full sibling pairs with differing intelligence quotients (IQ’s). He referred to the sample as utopian in that the sampled pairs were raised in families with virtually no illegitimacy, divorce or poverty. The average earnings of sampled individuals with an IQ of under 75 was $11,000, compared to $16,000 for those with an IQ between 75 and 90, $23,000 for those with an IQ between 90 and 110, $27,000 for those with an IQ between 110 and 125, and $38,000 for those with an IQ above 125. Murray's work on IQ has been found faulty by Stephen Jay Gould, Loïc Wacquant and others. Income has a high correlation with educational levels. In 2007, the median earnings of household headed by individuals with less than a 9th grade education was $20,805 while households headed by high school graduates earned $40,456, households headed holders of bachelor’s degree earned $77,605, and families headed by individuals with professional degrees earned $100,000. In 1991, 8.3% of children in two-parent families were likely to live in poverty; 19.6% of children lived with father in single parent family; and 47.1% in single parent family headed by mother. Income levels vary with age. For example, the median 2009 income for households headed by individuals age 15–24 was only $30,750, but increased to $50,188 for household headed by individuals age 25–34 and $61,083 for household headed by individuals 35–44. Although the reasons are unclear, work experience and additional education may be factors. Income levels vary along racial/ethnic lines: 21% of all children in the United States live in poverty, about 46% of black children and 40% of Latino children live in poverty. The poverty rate is 9.9% for black married couples and only 30% of black children are born to married couples (see Marriage below). The poverty rate for native born and naturalized whites is identical (9.6%). On the other hand, the poverty rate for naturalized blacks is 11.8% compared to 25.1% for native born blacks suggesting race alone does not explain income disparity. Not all minorities have low incomes. Asian families have higher incomes than all other ethnic groups. For example, the 2005 median income of Asian families was $68,957 compared to the median income of white families of $59,124. Asians, however, report discrimination occurrences more frequently than blacks. Specifically, 31% of Asians reported employment discrimination compared to 26% of blacks in 2005. The relationship between tax rates and poverty is disputed. A study comparing high tax Scandinavian countries with the U. S. suggests high tax rates are inversely correlated with poverty rates. The poverty rate, however, is low in some low tax countries such as Switzerland. A comparison of poverty rates between states reveals that some low tax states have low poverty rates. For example, New Hampshire has the lowest poverty rate of any state in the U. S., and has very low taxes (46th among all states). It is true however that in those instances, both Switzerland and New Hampshire have a very high household income and other measures to levy or offset the lack of taxation. For example, Switzerland has Universal Healthcare and a free system of education for children as young as four years old. New Hampshire has no state income tax or sales tax, but does have the nation's highest property taxes. Economist Jared Bernstein and Elise Gould of the Economic Policy Institute suggest that poverty could have been significantly reduced if inequality had not increased over the last few decades. Many sociologists and government officials have argued that poverty in the United States is understated, meaning that there are more households living in actual poverty than there are households below the poverty threshold. A recent NPR report states that as much as 30% of Americans have trouble making ends meet and other advocates have made supporting claims that the rate of actual poverty in the US is far higher than that calculated by using the poverty threshold. A study taken in 2012 estimated that roughly 38% of Americans live "paycheck to paycheck." According to William H. Chafe, if one used a relative standard for measuring poverty (a standard that took into account the rising standards of living rather than an absolute dollar figure) then 18% of families was living in poverty in 1968, not 13% as officially estimated at that time. 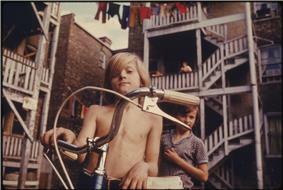 As far back as 1969, the Bureau of Labor Statistics put forward suggested budgets for families to live adequately on. 60% of working-class Americans lived below one of these budgets, which suggested that a far higher proportion of Americans lived in poverty than the official poverty line suggested. These findings were also used by observers on the left when questioning the long-established view that most Americans had attained an affluent standard of living in the two decades following the end of the Second World War. While the poverty threshold is updated for inflation every year, the basket of food used to determine what constitutes being deprived of a socially acceptable minimum standard of living has not been updated since 1955. As a result, the current poverty line only takes into account food purchases that were common more than 50 years ago, updating their cost using the Consumer Price Index. When methods similar to Orshansky’s were used to update the food basket using prices for the year 2000 instead of from nearly a half century earlier, it was found that the poverty line should actually be 200% higher than the official level being used by the government in that year. The issue of understating poverty is especially pressing in states with both a high cost of living and a high poverty rate such as California where the median home price in May 2006 was determined to be $564,430. With half of all homes being priced above the half million dollar mark and prices in urban areas such as San Francisco, San Jose or Los Angeles being higher than the state average, it is almost impossible for not just the poor but also lower middle class worker to afford decent housing, and no possibility of home ownership. In the Monterey area, where the low-pay industry of agriculture is the largest sector in the economy and the majority of the population lacks a college education the median home price was determined to be $723,790, requiring an upper middle class income which only roughly 20% of all households in the county boast. Such fluctuations in local markets are, however, not considered in the Federal poverty threshold, and thus leave many who live in poverty-like conditions out of the total number of households classified as poor. In 2011, the Census Bureau introduced a new supplementary poverty measure aimed at providing a more accurate picture of the true extent of poverty in the United States. According to this new measure, 16% of Americans lived in poverty in 2011, compared with 15.2% using the official figure. The new measure also estimated that nearly half of all Americans lived in poverty that year, defined as living within 200% of the federal poverty line. Some critics assert that the official U.S. poverty definition is inconsistent with how it is defined by its own citizens and the rest of the world, because the U.S. government considers many citizens statistically impoverished despite their ability to sufficiently meet their basic needs. 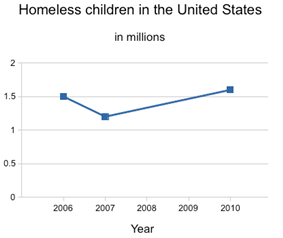 According to a 2011 paper by poverty expert Robert Rector, of the 43.6 million Americans deemed to be below the poverty level by the U.S. Census Bureau in 2009, the majority had adequate shelter, food, clothing and medical care. In addition, the paper stated that those assessed to be below the poverty line in 2011 have a much higher quality of living than those who were identified by the census 40 years ago as being in poverty. The federal poverty line also excludes income other than cash income, especially welfare benefits. Thus, if food stamps and public housing were successfully raising the standard of living for poverty stricken individuals, then the poverty line figures would not shift since they do not consider the income equivalents of such entitlements. According to Edin: "No one avoided the unnecessary expenditures, such as the occasional trip to the Dairy Queen, or a pair of stylish new sneakers for the son who might otherwise sell drugs to get them some money or something , or the Cable TV subscription for the kids home alone and you are afraid they will be out on the street if they are not watching TV." However many mothers skipped meals or did odd jobs to cover those expenses. According to Edin, for "most welfare-reliant mothers food and shelter alone cost almost as much as these mothers received from the government. For more than one-third, food and housing costs exceeded their cash benefits, leaving no extra money for uncovered medical care, clothing, and other household expenses." There have been many governmental and community organizing. Recent debates have centered on the need for policies that focus on both "income poverty" and "asset poverty." Advocates for the approach argue that traditional governmental poverty policies focus solely on supplementing the income of the poor, through programs such as Aid to Families with Dependent Children (AFDC) and Food Stamps. According to the CFED 2012 Assets & Opportunity Scorecard, 27 percent of households – nearly double the percentage that are income poor – are living in “asset poverty.” These families do not have the savings or other assets to cover basic expenses (equivalent to what could be purchased with a poverty level income) for three months if a layoff or other emergency leads to loss of income. Since 2009, the number of asset poor families has increased by 21 percent from about one in five families to one in four families. In order to provide assistance to such asset poor families, Congress appropriated $24 million to administer the Assets for Independence Program under the supervision of the US Department for Health and Human Services. The program enables community-based nonprofits and government agencies to implement Individual Development Account or IDA programs, which are an asset-based development initiative. Every dollar accumulated in IDA savings is matched by federal and non-federal funds to enable households to add to their assets portfolio by buying their first home, acquiring a post-secondary education and starting or expanding a small business. Additionally, the Earned Income Tax Credit (EITC or EIC) is a credit for people who earn low-to-moderate incomes. This credit allows them to get money from the government if their total tax outlay is less than the total credit earned, meaning it is not just a reduction in total tax paid but can also bring new income to the household. The Earned Income Tax Credit is viewed as the largest poverty reduction program in the United States. There is an ongoing debate in the US about what is the most effective way to fight poverty, is it through the tax code with the EITC or through the minimum wage laws. 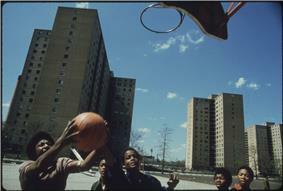 Government safety net programs put in place since the War on Poverty have helped reduce the poverty rate from 26% in 1967 to 16% in 2012 using a Supplemental Poverty Model(SPM) created by Columbia University, while the official US Poverty Rate has not changed, as the economy by itself has done little to reduce poverty. According to a 2013 Columbia University study which created the (SPM) method of measuring poverty, without such programs, the poverty rate would be 29% today. While the American welfare state effectively reduces poverty among the elderly, it provides relatively little assistance to the working-age poor. The U.S. has the weakest social safety net of all developed nations. ^ Savage, Sarah. "Child Poverty High in Rural America". Retrieved 2008-08-26. ^ Berlinger, Joshua (November 12, 2012). "A New Poverty Calculation Yields Some Surprising Results". ^ Bureau of Labor Statistics’ 2008 Consumer Spending Survey, Table 1 ftp://ftp.bls.gov/pub/special.requests/ce/standard/2008/quintile.txt The reported expenditures were computed by dividing the average annual expenditures (reduced by real property, income and other taxes) by the average number of persons in the household. ^ Dáil, Paula vW. (2012). Women and Poverty in 21st Century America. NC, USA: McFarland. p. 27. ^ Lakota Peoples Law Project, . United Stated. Senate. Reviewing the Facts: An Assessment of the Accuracy of NPR’s Native Foster Care: Lost Children, Shattered Families. Santa Cruz : , 2013. Web. .
^ . American Indian Humanitarian Foundation. N.p.. Web. 17 Jan 2014. .
^ Study: 11 Percent Of U.S. Households Lack Food For Healthy Lifestyle"
"3.5M Kids Under 5 On Verge Of Going Hungry ("SHTML). Health (CBS NEWS). 2009-05-07. Retrieved 2009-05-08. ^ vW. Dail, Paula. Women and Poverty in 21st Century America. McFarland and Company Inc., Publishers. p. 161. ^ Doob, Christopher (2013). Social Inequality and Stratification in US Society. Upper Saddle River, New Jersey: Pearson Education Inc. p. 38. ^ Amy Joyce, “The Bias Breakdown,” The Washington Post, December 9, 2005, p. D01 citing Gallop Poll data. ^ "New Hampshire's State and Local Tax Burden, 1970–2006". The Tax Foundation. 2008-08-07. http://www.taxfoundation.org/taxdata/show/468.html Retrieved 2010-07-31. ^ a b Adams, J.Q. ; Pearlie Strother-Adams (2001). Dealing with Diversity. Chicago, IL: Kendall/Hunt Publishing Company. ^ CBS News http://www.cbsnews.com/8301-505144_162-57477881/more-americans-live-paycheck-to-paycheck/ . ^ "America in Our Time: From World War II to Nixon--what Happened and why". 1976. ^ Jennings, James (1994-01-01). 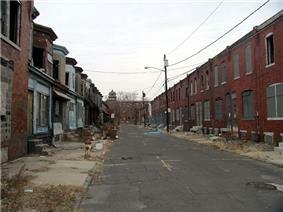 "Understanding the Nature of Poverty in Urban America". ^ Schwarz, John E. (2005). Freedom Reclaimed: Rediscovering the American Vision. Baltimore: Johns Hopkins University. pp. 194 note 13. ^ a b "California median home price". Retrieved 2006-07-06. Abramsky, Sasha (2013). The American Way of Poverty: How the Other Half Still Lives. Nation Books. Sarnoff, Susan; Yoon, Hong-Sik (2003). "Central Appalachia – Still the Other America". Journal of Poverty (The Haworth Press) 7 (1 & 2): 123–139. America’s Shameful Poverty Stats, Sasha Abramsky. The Nation, September 18, 2013.